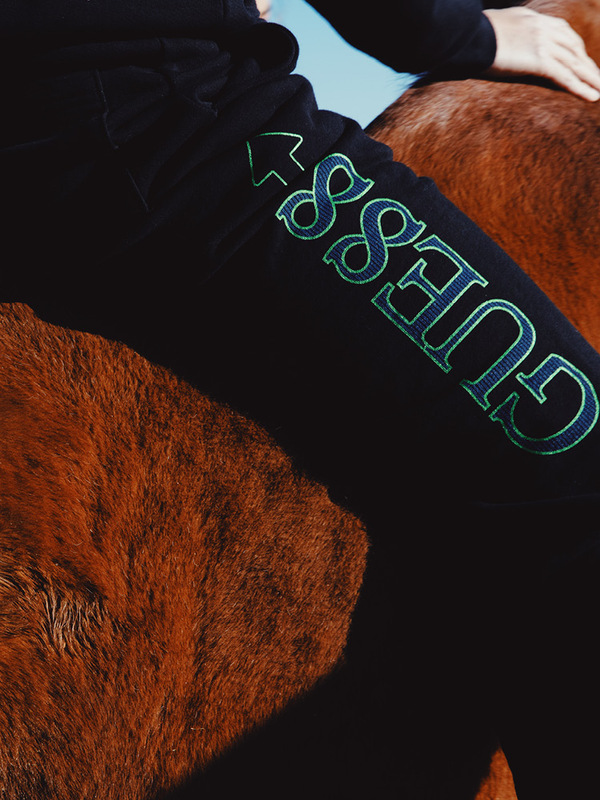 Record label and cultural exporter, 88rising, has returned with a second installment from their collaborative “Head In The Clouds” capsule (named after their North America tour and compilation album) with GUESS. 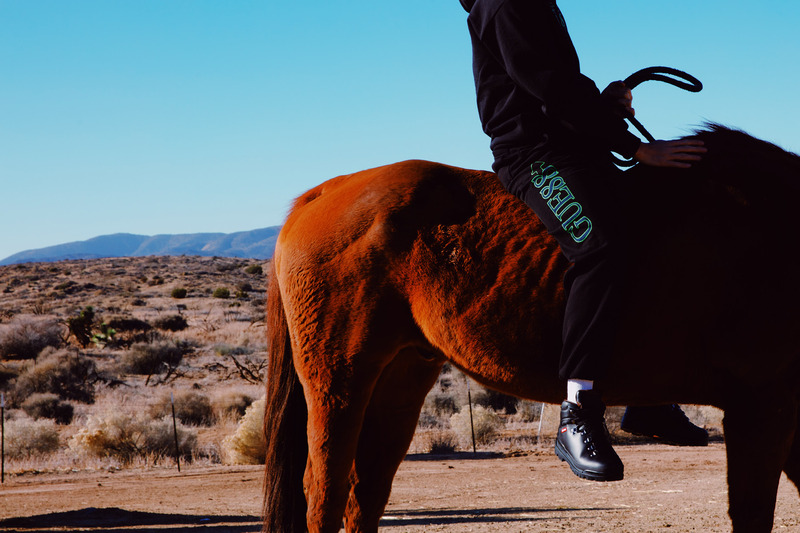 The latest assemblage is embellished with glowing hues of lime and hazy cloud-patterned bleaches that, overall, reflect the trippy lo-fi sounds 88 has been releasing as of late. 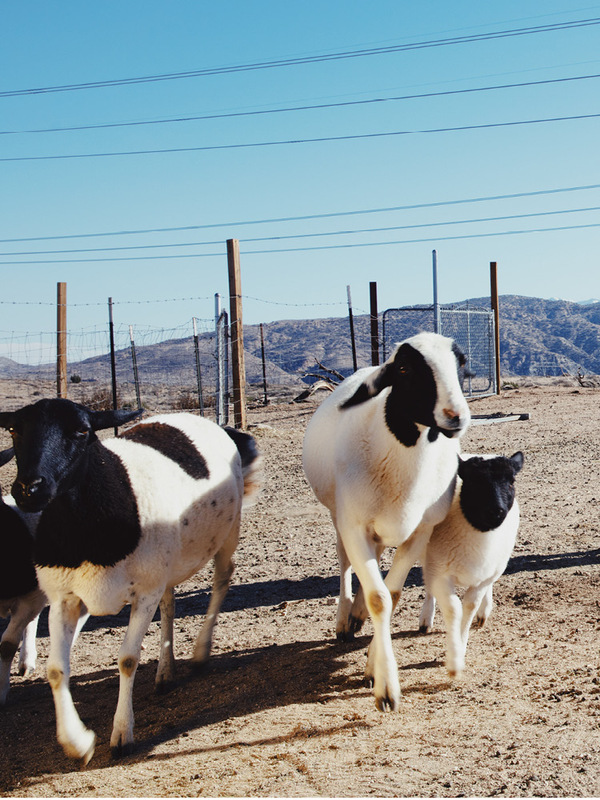 Taken to a countryside ranch, somewhere in the southern USA, behind blue skies and scudding clouds, the capsule is a bold nod to the current wave of new-age psychedelia. 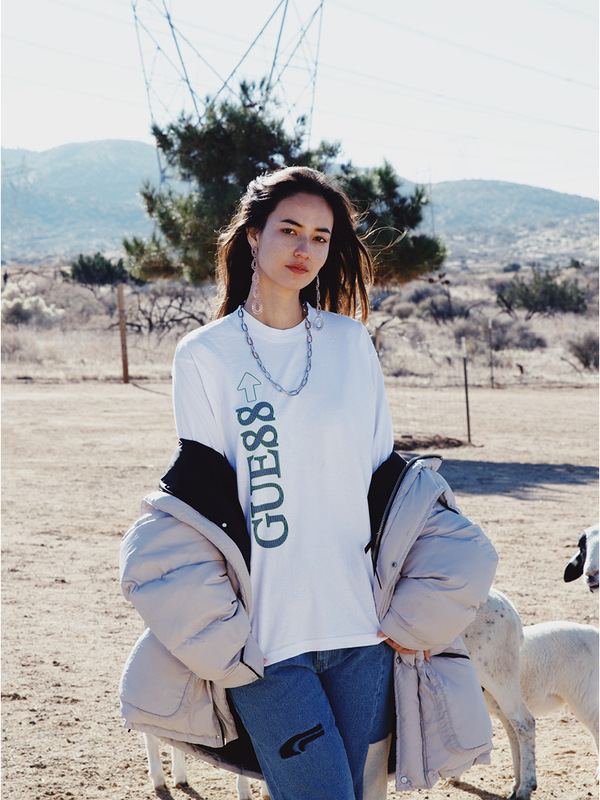 Spanning T-shirts, long-sleeves, white and black hoodies emblazoned with the special “GUE88” logo and peroxided sweatpants are some of the new pieces in the GUESS x 88rising “Head In The Clouds” Capsule. The hoodies feature GUESS’ iconic upside-down triangle logo tweaked with “GUE88” seen in the previous drop, this time traced with bright neon that pops out from the monochromatic fabric. The T-shirts and sweatpants boast the “GUE88⬆” print, stylized with the arrow motif. 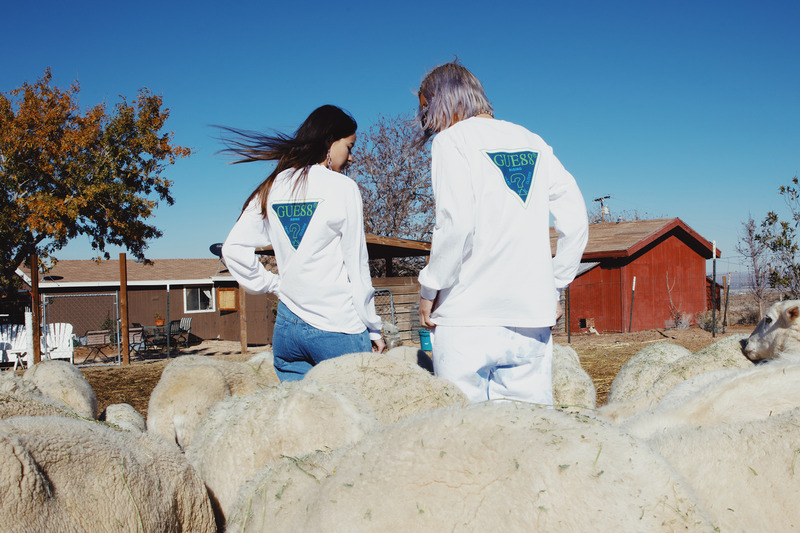 Rounding out the range are subtle details found in the logo prints, with its tweaked typeface in “88” made to resemble “SS” as well as “Head In The Clouds” text seen on the hoodies. 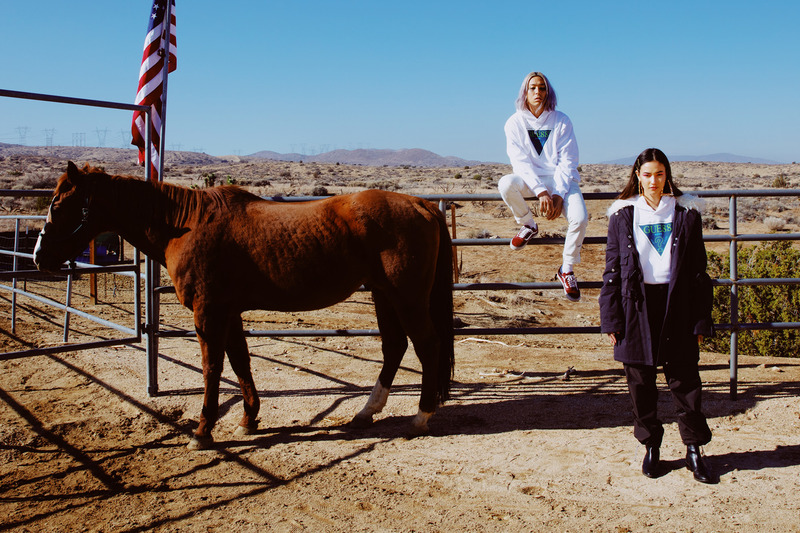 Scroll above for a look at the GUESS x 88rising “Head In The Clouds” Capsule and click here to read more about the previous release.